This must be so annoying to keep on asking the Credit Card dealers to stop calling you but ultimately it is all in vain. However, if you are an Android user, you would be glad to go through this section of best Android call blocker for sure. This is an amalgam of free as well as paid apps which brings some great call blocking features. Although many of the Android smartphones come with built-in call blocking service but it lacks the level of customization and personalization that we actually need. Amidst this dilemma of keep on blocking and unblocking numbers, I think you should better go for other apps which are specialized in it. Finally, you can say goodbye to the annoying and irritating calls of mass callers because now you have 10 options of best Android call blocker with you. With high-grade security to your privacy and plenty of other features, these are by far the best option to get rid of answering unwanted calls. This is the time to make most of your smartphone by using the right apps for it. 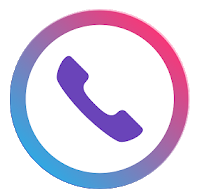 Offered by Vlad Lee communication, this app is total call blocker and it also provides various features and services related to call blocking too. This is surely the best Android call blocker service whose basic services are offered for absolutely free. However, there are some advanced features in the app for which you would have to pay a certain amount. This also include the ad-blocking service in the app which is also a paid feature. This app is the best way to get rid of unwanted calls as well as the high-volume callers too. In fact, Call Blacklist also serves as SMS blocker too. I really liked the fact regarding this app that it is quite lightweight which does not affect the functioning of your phone at all. Call Blacklist offers plenty of features like call and SMS blocking, block unknown and private numbers, personalization options like blocking a range of number beginning with same digits, whitelist option to prevent blocking of certain number and much more. All the Android users who have been using Truecaller since a long time would know that this one is the best call blocker for Android. However, users mainly prefer it to find out the true identity of an unknown number but you should also know that it comes with plenty of other features too and call blocking is one of them. It just needs a smart user to operate Truecaller effectively and I am sure it will turn out to be a great call blocker service for you. Truecaller provides complete information of a person’s Caller ID as well as picture too (in some cases). This makes it easier for you to block the unknown numbers. You can also block spams and telemarketers or any other user defined numbers easily. 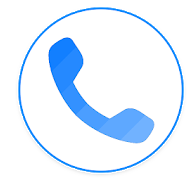 Other important features which are a part of Truecaller are complete call history details along with information of unknown numbers, flash messaging, blocking by name and number series, auto-block feature, dual sim support and management and much more making it one of the best Android call blocker. In the rush of using Truecaller heavily, I am sure you would have ditched other best Android call blocker like Hiya. It used to be known as Whitepages Caller ID which is an entirely free to use app. In fact, the app does not even contain any ads too. Just like Truecaller, Hiya is mainly preferred for its Caller ID function but that does not mean that it cannot block unwanted calls or SMS. In fact, there are plenty of settings and options through which you can customize the blocking service and hence you would not have to block the mass caller manually from the next time. You can also block nuisance calls and create a blacklist of more such numbers too. The privacy settings are entirely controlled by the user himself. You would be glad to know that Hiya also offers reverse phone lookup service too through which you can get to know about legitimate and nuisance callers easily. The major functions performed by this best call blocker app are quite similar to earlier two apps which are Caller ID and call blocking. However, Whoscall does not have an impressive interface as you are going to face the annoying ads every now and then. Thankfully they offer some in-app purchases which can not only get rid of the ads but can also upgrade your services to advance levels. Apart from it the basic services of blocking spam calls, nuisance callers, telemarketers, robocalls and other user defined calls are offered for free by this app. Whoscall also helps in finding out about the unknown callers on your phone and that too within seconds. Whoscall is power packed with all sorts of features which makes it one of the best Android call blocker app. Apart from all, it also offers the service of Whoscall Card which is ideal for users running business as it provides better and advanced features like personalizing your caller ID info and much more. Call Blocker Free functions just like its name and this is why you get all the features related to call blocking for absolutely free here. This makes it a perfect pick amongst best Android call blocker. However, sadly the app contains ads which are kind of annoying. The app is quite lightweight and the interface is also quite minimalist which gives a perfect experience for the users who do not want to get involved in some complexities. This app also provides multiple modes for blocking numbers which gives you the liberty to regulate settings for once and for all. You can literally get rid of all the unwanted calls, spams, and even unwanted SMS for all your life if you use this app wisely. Furthermore, the other features whitelist, blacklist creation, preventing possible phone scams, notifications setting after blocking, multiple options, call reminders etc. are there to make your life much simpler than ever. 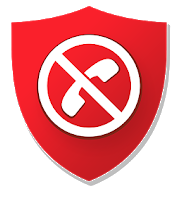 Safest Call Blocker is actually a less heard call blocking app but I think it is as safe to use as its name. All the services provided by the app are entirely free but of course as you are using it for free, you would have to face the annoying ads in it. Just like the earlier app, Safest Call Blocker also provides a very minimalistic and simpler interface for the users to keep the things simple and easy going. Thankfully, you would not have to sacrifice any of the features for this simple interface as there is literally a huge list of them waiting for you. This includes, a lightweight yet effective platform, phone number blocking, blacklist management, calls and SMS blocking and much more. I think these features are still not enough to call it one of the best Android call blocker. So, it has more to offer like no subscription policy, decluttering of phone’s history, wildcard addition for 800 numbers (1800######), blocking of robot calls, spams, telemarketers, high volume callers and much more. As I have mentioned an app with the same name further in this list of best Android call blocker, so I had to mention the developer’s name in order to remove confusion. Talking about this call blocker app then it is a very easy medium to get rid of mass volume callers. In fact, Call Blocker also helps in identifying the unknown callers too which is actually kind of beneficial in deciding who the spam caller is. This app is free to use but contains ads but I am sure you are going to love this for its simple black and white interface which is so simple to use. There are separate settings for creating whitelists and blacklists and you can also use various other settings options for customization. Other features of this useful app are caller ID service, blocking of calls as well as SMS, call log function to view all callers, instant blocking to get rid of nuisance callers, detailed information of every caller and much more. Should I Answer is a call blocker Android app which is here to answer your legit question of Should I Answer this Call or Not? This app basically works as a free to use mobile security service which protects you from unwanted, expensive and unknown calls. Many a times you get trapped and answer even cross-country calls which results in exhausting of your balance. But now with the help of this app, you can determine whether you should take this call or not. Apart from it, this app also blocks telemarketers, spam callers, unsolicited calls, fraud calls, campaign and ads calls and much more. I really liked the fact that the app notified you about every single happenings which keeps you updated with all sorts of functions of this app. Just like other best Android call blocker, Should I Answer offers other features too like mass call blocking in one click, creating private block list, block foreign country calls and premium rate numbers and much more. This is the second app bearing the name Call Blocker which serves as an important service for your phone. The app works for free and helps you to identify the unknown numbers so that you can take better decisions at blocking the people creating nuisance for you. Call Blocker possesses every single feature which makes it one of the best Android call blocker. It further eases everything for you as the app is quite lightweight and does not affect the system of your phone too. Whether it is about blocking annoying spam calls by salesman or about rejecting calls from the numbers defined by you, this app is competent enough to do it all for you. They have kept the interface very simple yet easy to access and the app also acquires very little memory in your phone too. Other functions performed by this app are blacklist and whitelist creation, record logs of rejected numbers, mass call blocking in one click, multiple block modes with customization options and many more other features too. The major feature performed by this Android call blocker called Mr. Number is to block calls and spams without the user having to touch the phone at all. While going through the app and its features I realized it has so much to offer. In fact, Mr. Number is such a smart app that automatically detects not only spams but also potential calls regarding frauds and scams too. This helps the user to stay away from potential threats and frauds. Apart from it, Mr. Number has so much other features to offer regarding call blocking. These features include call blocking from one person, area code or entire community too, blocking calls from spams, telemarketers and campaigns, warn other users about spams, auto caller lookup and much more. Because of being a powerful app, Mr. Number can acquire larger space in your phone as compared to other best Android call blocker but I think it is all worth in return of so many features. These best Android call blocker are the kind of third party apps which makes your system more powerful and keeps you away from unwanted calls. Of course, you would be required to do some personalization settings in them before using but afterwards, they function on their own. There are apps with the similar name so in order to make it clear I have also mentioned their developer’s name too. There are apps which offers plenty of other services too which you will come to know once you will start using them but it can also cost you a subscription plan too.